The globe-spanning freq_out project has been a significant adventure in site specific interventions over the last decade and a half. It‘s an eclectic group of people who have stimulated ideas and discourse and together have made some resonant and gorgeous works. born in Melbourne in 1960, composer/producer/ performer based in Brooklyn, NYC. As well as under his own name, he works under many pseudonyms including Manorexia, Foetus, Steroid Maximus, Baby Zizanie, Hydroze Plus, Clint Ruin, and Wiseblood. He has released over thirty albums. JG has completed commissions include Kronos Quartet, Bang On A Can, Zephyr Quartet, Jeffrey Zeigler, and Experiments In Opera, and he received a fellowship from New York Foundation of the Arts in sound/composition. 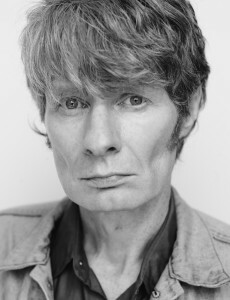 RELEASES JG Thirlwell The Music of The Venture Bros Volume 2, 2016, Ectopic Ents. Manorexia Dinoflagellate Blooms (surround sound album), 2013 Ectopic Ents. Foetus Soak, 2013, Ectopic Ents. EXHIBITIONS Imponderable (collaboration with Tony Oursler), MoMA, New York, 2016. Kaliningrad Otitis Interna, multi-channel piece for Sound Around Kaliningrad sound art festival, 2012. Santarcangelo Ecclesiophobia, multi-channel installation, 2009.